The end of summer was pretty tumultuous for our co-op, with new team members coming on board and significant staff time going towards defending our work. As things settle into a new normal, we're excited to return our focus to #booksellerlife, including two of our favorite events of the year – the Atlanta Radical Book Fair and Charlotte VegFest – both on October 13th! Keep reading for highlights, including a don't-miss workshop with author and organizer Cindy Milstein. Asheville Citizen-Time: "West Asheville groups appeal 'unconstitutional' city violations"
Mountain Xpress: "West Asheville needle exchange fights city zoning violations"
Blue Ridge Public Radio: "West Asheville Bookstore Will Appeal Violation Notice Over Weekly Needle Exchange Event"
We've also received support from local and national organizations concerned with public health, including Human Rights Watch, AIDS United, and physicians at Mission Hospital. And we still need your support! 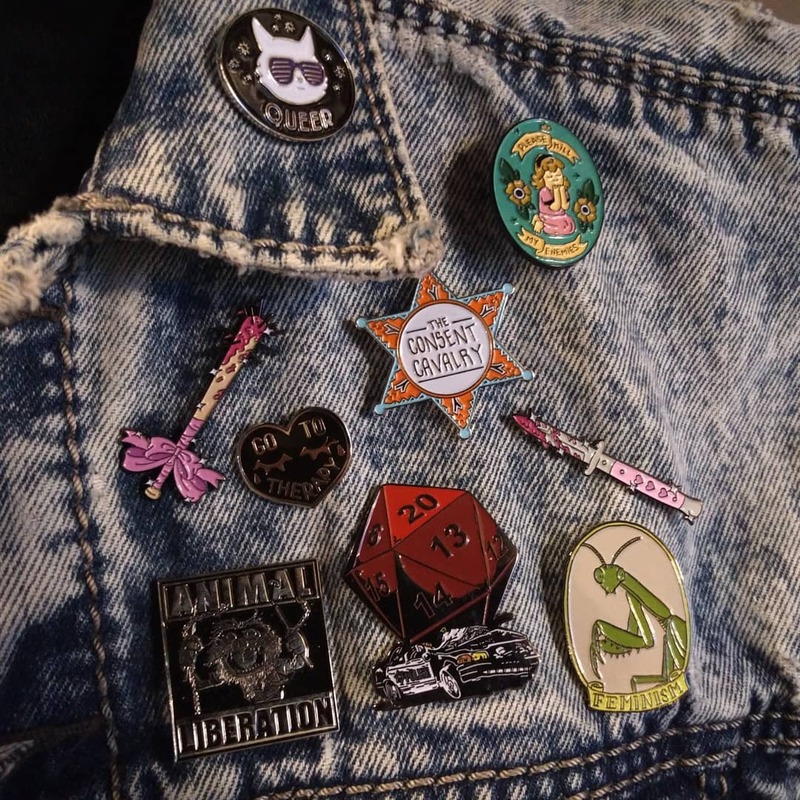 Is there still space on your jacket for another mini declaration of war against the white-supremacist-capitalist-patriarchy? We've got enamel pins for you! In the aftermath of Hurricane Florence, our co-op has served as a postal address and collection point for autonomous disaster relief supplies.